Our forest school area has been closed for the past few months due to the exciting new refurbishment of our swimming pool. Although the girls have been busy investigating outside all around the school grounds, it was wonderful to finally be back at ‘base camp’. 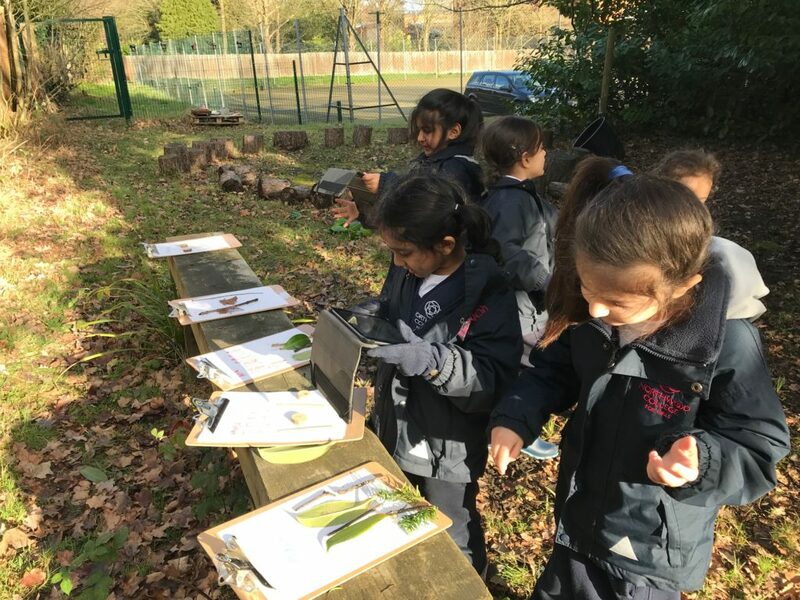 On a very mild and sunny day, our intrepid Reception explorers put on their wellies and went out to see what had been happening in the forest. We found lots of mud and a few overgrown trees and shrubs which was all very exciting. 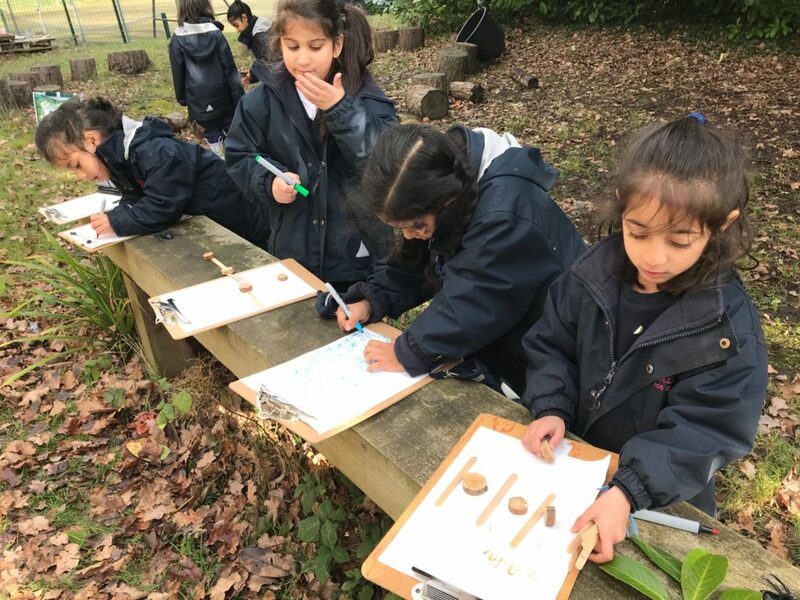 As we had been learning about repeating patterns in Maths, we decided to look for stones, twigs, bark and leaves to make our own natural repeating patterns. 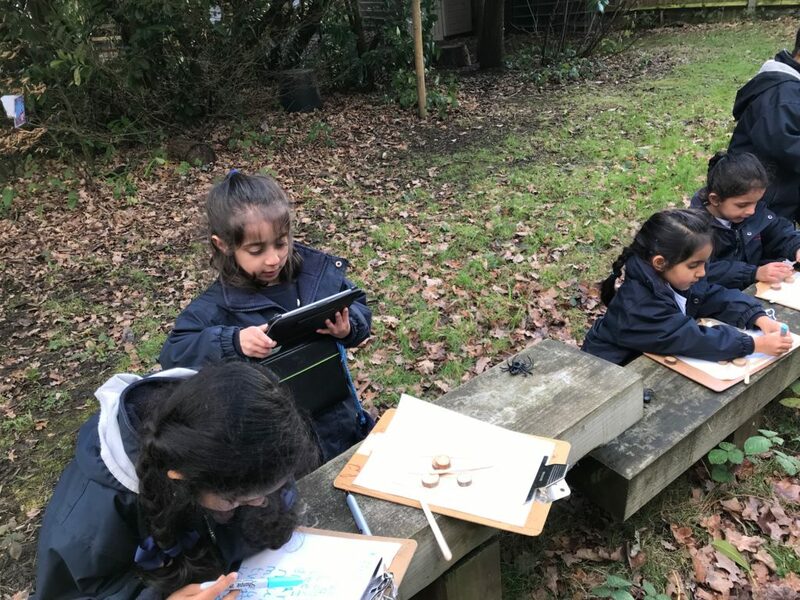 We took the iPads with us so we could take pictures of our work and also used our clipboards to record what we had found. 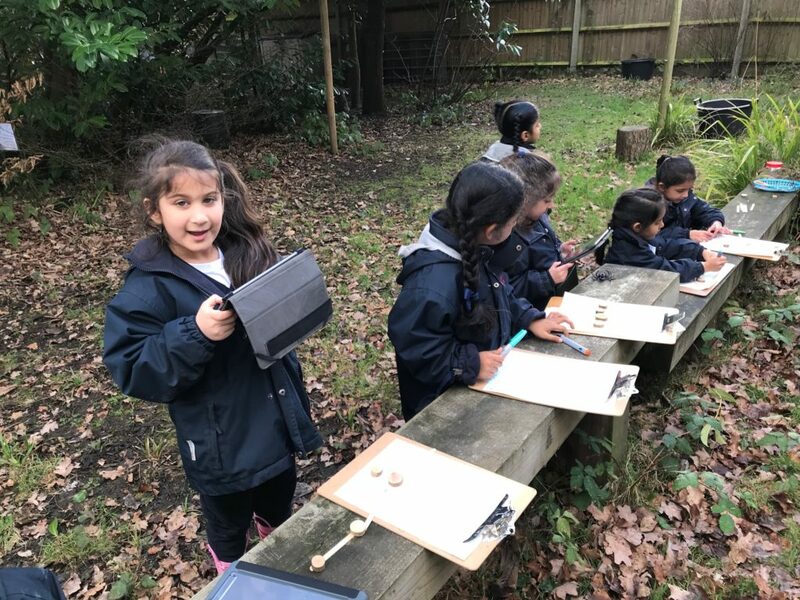 These forest school sessions really inspire the girls and the quality of the patterns and their writing was amazing. Even the most reluctant writers were willing to ‘have a go’ at recording their ideas. We are really lucky to have such a wonderful resource on site and are looking forward to lots more adventures outside this year.